NoteThis will work only in Firefox - so you need Firefox to be installed first. 1. 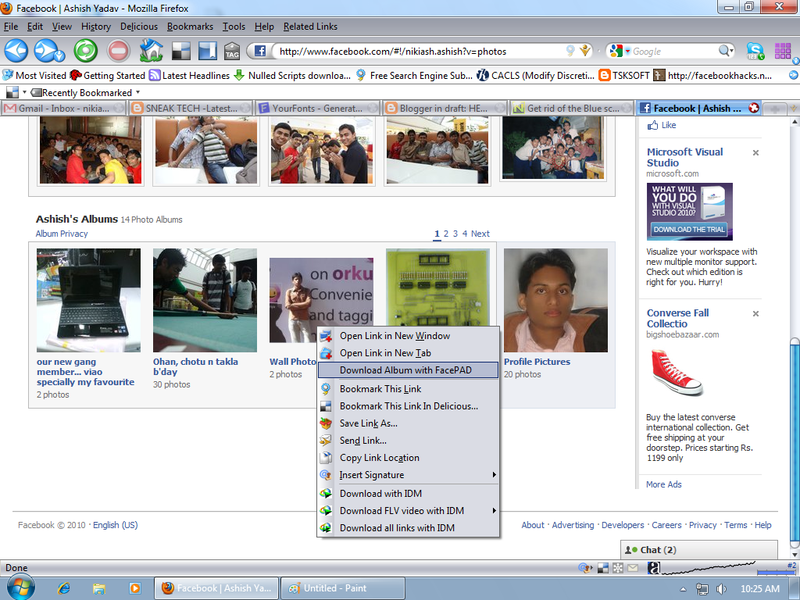 Download the FacePAD Firefox extension directly from here. You may get a message block from Firefox - right click and allow that. # Once you have installed - You will need to re-start Firefox to begin using the downloaded extension. 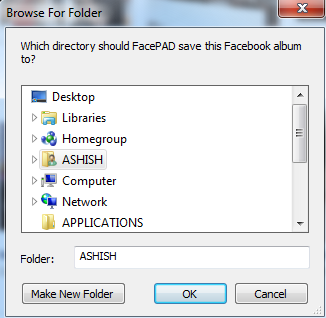 # You will now see FacePAD added to your list of addon extensions in Firefox. # Head over to your friend's profile page and click on Photos. There you will find all the albums of your friends. #Simply right click on the photo album and you will now get a new option "Download Album with FacePAD". Go ahead and download the album. woaho.... ur done... now all the photos of the album u have selected will be downloaded to the given path of ur hard disk decently.